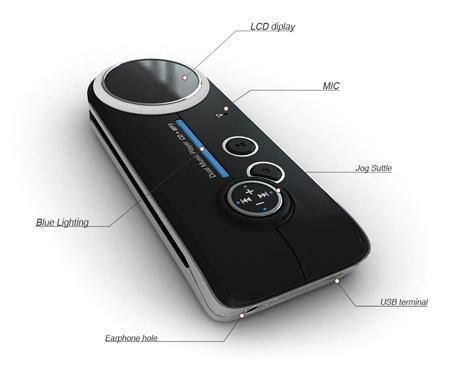 In these days, almost everyone has an iPod, a Creative Zen Vision: M or any other type of MP3 Player. 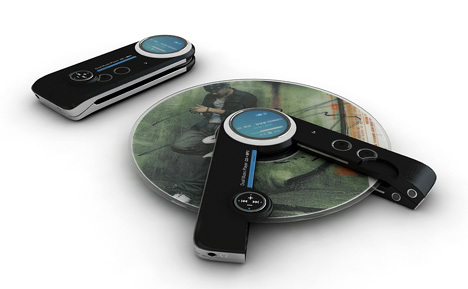 It almost let's your forget the early days when people were walking around with a Portable CD Player. I accented the word almost, because designer Yong-Seong Kim didn't forget his CD's and designed this nice DMP (Dual Music Player). When closed, you just hang it around your neck or put it in your pocket as a regular MP3 player. But when opened, you can insert a CD that can be played. 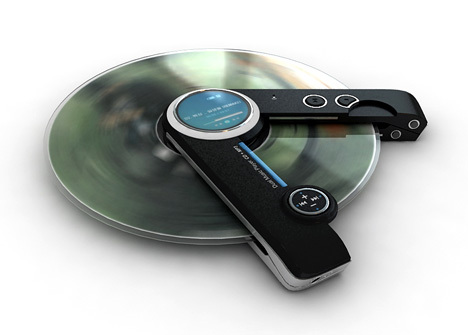 I have no clue if it's safe to walk with a CD inserted and what will happen if you get your fingers across the spinning disk, but what the heck, it just looks so awsome!